Hypertension is a widespread disease that affects millions of people across the globe. Characterized by high blood pressure, this disease is often addressed as the “silent killer” because it harms the vital organs over a period of time without giving even subtle hints. But the good news is that it can be controlled effectively with a timely diagnosis and right treatment. Experts recommend medications and positive lifestyle changes as a part of the long-term treatment plan for hypertension. However, if you believe in natural healing, you can consider certain herbal remedies to address the condition. Scientific studies have proved the efficacy of certain herbs for lowering the blood pressure levels. Let us know more about the herbs that reduce the blood pressure naturally. Basil is a potent kitchen herb that is capable of lowering the blood pressure. It contains a chemical called eugenol which can block certain substances that constrict the blood vessels and cause the blood pressure to elevate. This herb can be easily grown at home and used as a flavorful addition in foods such as soups, salads and pasta. Another powerful herbal remedy for hypertension is garlic. The pungent seasoning has far-reaching health benefits besides adding aroma and flavor to everyday cooking. It stimulates the production of nitric oxide in the body, which leads to the dilation and relaxation of blood vessels to bring down the blood pressure naturally. Simply take a few cloves with a glass of water every morning and you will start experiencing a difference within a few days. You can also rely on garlic supplements. Next on the list of best herbs for alleviating hypertension is cinnamon, the wonderful seasoning that can be effortlessly integrated into everyday diet. Animal studies have indicated that it has proven benefits for resolving sudden-onset as well as prolonged high blood pressure. This amazing herb is also effective for lowering the levels of blood sugar and bad cholesterol. Ginger is an herb with surprising health benefits and lowered blood pressure is one of these benefits. It improves the blood circulation and relaxes the blood vessels, both of which play a key role in controlling hypertension symptoms. The best thing about this herb is that it is easy to use in your daily diet. You can consume it as tea or grate it in curries and salads. Alternatively, you can take it as a daily herbal supplement. Cardamom is an aromatic spice that is found in every kitchen and has a surprising range of health benefits. Regular consumption of cardamom can bring a significant reduction in blood pressure levels over a span of time. You can chew some seeds after meals for fresh breath and digestive benefits. The spice can also be used in powdered form and added to tea, soups, stirs and baked dishes for extra taste and aroma. Next on the list of herbs that are effective for hypertension is flax seeds. These tiny seeds are a good source of fiber and omega 3 fatty acids. The latter is particularly helpful in bringing down blood pressure levels. Moreover, they are also known for lowering the risk of cardiovascular disease by reducing the cholesterol levels and improving glucose tolerance. Whole or ground flax seeds can be added in home-cooked meals. You can stir them up in smoothies and soups and add them to stews and curries as well. Another powerful herb for high blood pressure is celery seeds, which have been used as an herbal remedy for this purpose in the Chinese medicine system for ages. One of the key reasons that celery is useful for this purpose is that it is diuretic in nature. You can juice up the plant or use the seeds as a part of your daily diet. It adds amazing flavor to stews, soups and savory dishes. 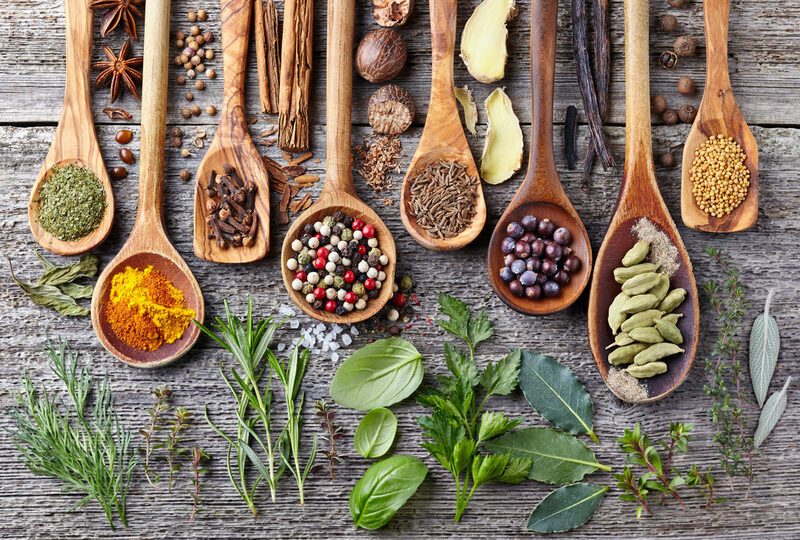 The impact of herbs and spices on human health is far reaching. They not only offer lasting relief but also minimize the risks of side effects as well. Read https://www.birthandbeyondmagazine.com/wellness-news-blog/healing-benefits-of-herbal-supplements to know more about their healing benefits for a variety of medical conditions. However, if you do plan to use them as a long term option, you should seek a thorough medical examination and expert advice first. For those struggling with chronic hypertension, there is an option of combining herbal remedies with their regular treatment regimen. Still, it would be wise to consult your specialist first and create a tailored plan only with their advice and guidance.